Greenland (Greenlandic: Danish: ) is an autonomous country within the Kingdom of Denmark, located between the Arctic and Atlantic Oceans, east of the Canadian Arctic Archipelago. Though physiographically a part of the continent of North America, Greenland has been ethnically, politically and culturally associated with Europe (specifically Norway and Denmark, the colonial powers, as well as the nearby island of Iceland) for more than a millennium. In 2008, the people of Greenland passed a referendum supporting greater autonomy; 75% of votes cast were in favour. Greenland is, in area, the worlds largest island, over three-quarters of which is covered by the only contemporary ice sheet outside of Antarctica. With a population of about 56,370 (2013), it is the least densely populated country in the world. There are less than 3000 cars in the whole country, People mostly travel by boat. Greenland became part of the Norwegian Empire in the 13th century. There are no roads connecting Greenland’s cities. 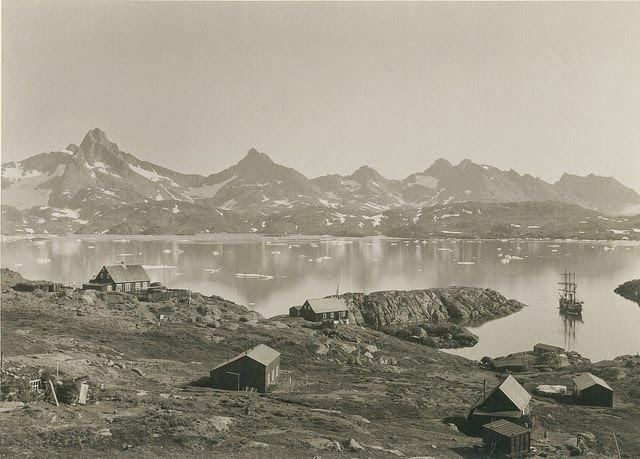 Having been claimed by Denmark–Norway for centuries, Greenland became a Danish colony in 1814, and a part of the Danish Realm in 1953 under the Constitution of Denmark. In 1973, Greenland joined the European Economic Community with Denmark. However, in a referendum in 1982, a majority of the population voted for Greenland to withdraw from the EEC, which was effected in 1985. In 1979, Denmark had granted home rule to Greenland, and in 2008, Greenlanders voted in favour of the Self-Government Act, which transferred more power from the Danish royal government to the local Greenlandic government. Under the new structure, in effect since 21 June 2009, Greenland can gradually assume responsibility for policing, judicial system, company law, accounting, and auditing; mineral resource activities; aviation; law of legal capacity, family law and succession law; aliens and border controls; the working environment; and financial regulation and supervision, while the Danish government retains control of foreign affairs and defence. It also retains control of monetary policy, providing an initial annual subsidy of DKK 3.4 billion, planned to diminish gradually over time as Greenlands economy is strengthened by increased income from the extraction of natural resources. In prehistoric times, Greenland was home to several successive Paleo-Eskimo cultures known primarily through archaeological finds. The earliest entry of the Paleo-Eskimo into Greenland is thought to have occurred about 2500 BCE. From around 2500 BCE to 800 BCE, southern and western Greenland was inhabited by the Saqqaq culture. Most finds of Saqqaq-period archaeological remains have been around Disko Bay, including the site of Saqqaq after which the culture is named. From 2400 BCE to 1300 BCE, the Independence I culture existed in northern Greenland. It was a part of the Arctic small tool tradition. Towns, including Deltaterrasserne, started to appear. Around 800 BCE, the Saqqaq culture disappeared and the Early Dorset culture emerged in western Greenland and the Independence II culture in northern Greenland. The Dorset culture was the first culture to extend throughout the Greenlandic coastal areas, both on the west and east coasts, and it lasted until the total onset of the Thule culture in 1500 CE. The Dorset culture population lived primarily from hunting of whales and caribou. Greenland is the worlds largest non-continental island and the third largest country in North America. It lies between latitudes 59° and 83°N, and longitudes 11° and 74°W. The Atlantic Ocean borders Greenlands southeast; the Greenland Sea is to the east; the Arctic Ocean is to the north; and Baffin Bay is to the west. The nearest countries are Canada, to the west across Baffin Bay, and Iceland, east of Greenland in the Atlantic Ocean. Greenland also contains the worlds largest national park, and it is the largest dependent territory by area in the world. The average daily temperature of Nuuk, Greenland varies over the seasons from ?8 to 7 °C (18 to 45 °F). The total area of Greenland is 2,166,086 km2 (836,330 sq mi) (including other offshore minor islands), of which the Greenland ice sheet covers 1,755,637 km2 (677,855 sq mi) (81%) and has a volume of approximately 2,850,000 km3 (680,000 cu mi). The highest point on Greenland is Gunnbjorn Fjeld at 3,700 m (12,139 ft). The majority of Greenland, however, is less than 1,500 m (4,921 ft) in elevation. The weight of the ice sheet has depressed the central land area to form a basin lying more than 300 m (984 ft) below sea level, while elevations rise suddenly and steeply near the coast. The ice flows generally to the coast from the centre of the island. A survey led by French scientist Paul-Emile Victor in 1951 concluded that, under the ice sheet, Greenland is composed of three large islands. This is disputed, but if it is so, they would be separated by narrow straits, reaching the sea at Ilulissat Icefjord, at Greenlands Grand Canyon and south of Nordostrundingen. All towns and settlements of Greenland are situated along the ice-free coast, with the population being concentrated along the west coast. The northeastern part of Greenland is not part of any municipality, but it is the site of the worlds largest national park, Northeast Greenland National Park. At least four scientific expedition stations and camps had been established on the ice sheet in the ice-covered central part of Greenland (indicated as pale blue in the map to the right): Eismitte, North Ice, North GRIP Camp and The Raven Skiway. Currently, there is a year-round station, Summit Camp, on the ice sheet, established in 1989. The radio station Jorgen Bronlund Fjord was, until 1950, the northernmost permanent outpost in the world. The extreme north of Greenland, Peary Land, is not covered by an ice sheet, because the air there is too dry to produce snow, which is essential in the production and maintenance of an ice sheet. If the Greenland ice sheet were to melt away completely, the worlds sea level would rise by more than 7 m (23 ft). Scientists who probed 2 km (1.2 mi) through a Greenland glacier to recover the oldest plant DNA on record said that the planet was far warmer hundreds of thousands of years ago than is generally believed. 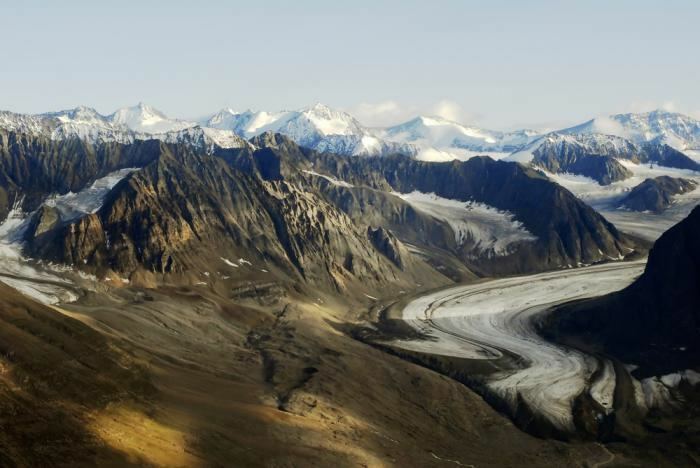 DNA of trees, plants, and insects including butterflies and spiders from beneath the southern Greenland glacier was estimated to date to 450,000 to 900,000 years ago, according to the remnants retrieved from this long-vanished boreal forest. That view contrasts sharply with the prevailing one that a lush forest of this kind could not have existed in Greenland any later than 2.4 million years ago. These DNA samples suggest that the temperature probably reached 10 °C (50 °F) in the summer and ?17 °C (1.4 °F) in the winter. They also indicate that during the last interglacial period, 130,000–116,000 years ago, when local temperatures were on average 5 °C (9 °F) higher than now, the glaciers on Greenland did not completely melt away. In 1996, the American Top of the World expedition found the worlds northernmost island off Greenland: ATOW1996. An even more northerly candidate was spotted during the return from the expedition, but its status is yet to be confirmed. In 2007 the existence of a new island was announced. Named "Uunartoq Qeqertaq" (English: Warming Island), this island has always been present off the coast of Greenland, but was covered by a glacier. This glacier was discovered in 2002 to be shrinking rapidly, and by 2007 had completely melted away, leaving the exposed island. The island was named Place of the Year by the Oxford Atlas of the World in 2007. Ben Keene, the atlass editor, commented: "In the last two or three decades, global warming has reduced the size of glaciers throughout the Arctic and earlier this year, news sources confirmed what climate scientists already knew: water, not rock, lay beneath this ice bridge on the east coast of Greenland. More islets are likely to appear as the sheet of frozen water covering the worlds largest island continues to melt". Greenland today is dependent on fishing and fish exports. The shrimp and fish industry is by far the largest income earner. Despite resumption of several hydrocarbon and mineral exploration activities, it will take several years before hydrocarbon production can materialize. 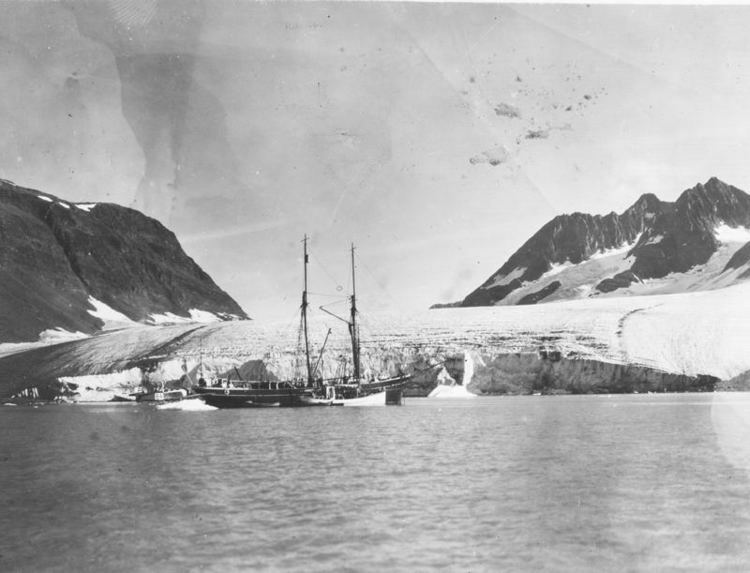 The state oil company Nunaoil was created to help develop the hydrocarbon industry in Greenland. The state company Nunamineral has been launched on the Copenhagen Stock Exchange to raise more capital to increase the production of gold, started in 2007. Greenlands culture began with settlement in the second millennium BCE by the Dorset Inuit, shortly after the end of the ice age. In the 10th century, Icelandic and Norwegian Vikings settled in the southern part of the island, while the Thule Inuit culture was introduced in the north of the island and expanded southward. The culture clash between two peoples is attested by the discovery of a fragment of Viking chain mail at a high latitude of the island, while a figurine carved from walrus ivory, clearly of Inuit origin, was found in Bergen, Norway. Both objects must be understood as a clear testimony of the trade between the two peoples. Greenland also has a successful, albeit small, music culture. Some popular Greenlandic bands and artists include Sume (classic rock), Chilly Friday (rock), Siissisoq (rock), Nuuk Posse (hip hop) and Rasmus Lyberth (folk), who performed in the Danish Eurovision Song Contest 1979, performing in Greenlandic. The singer-songwriter Simon Lynge is the first musical artist from Greenland to have an album released across the United Kingdom, and to perform at the UKs Glastonbury Festival. The music culture of Greenland also includes traditional Inuit music, largely revolving around singing and drums.